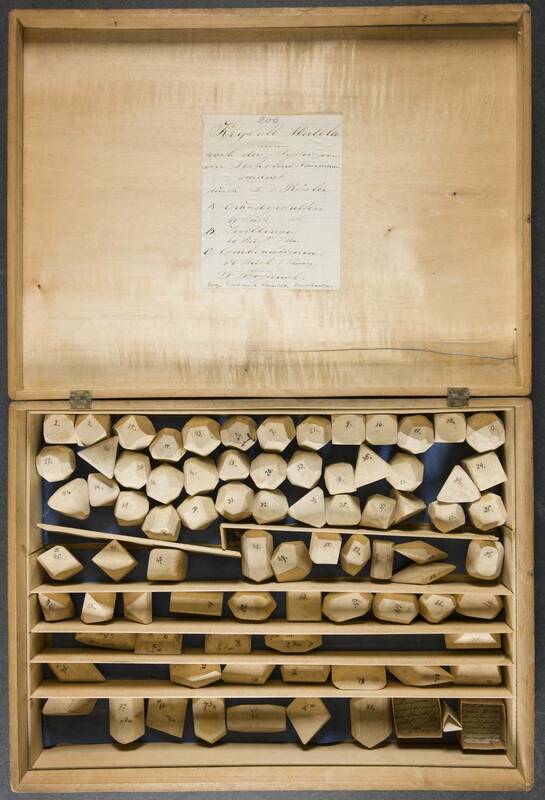 Plaster models in a wooden box. 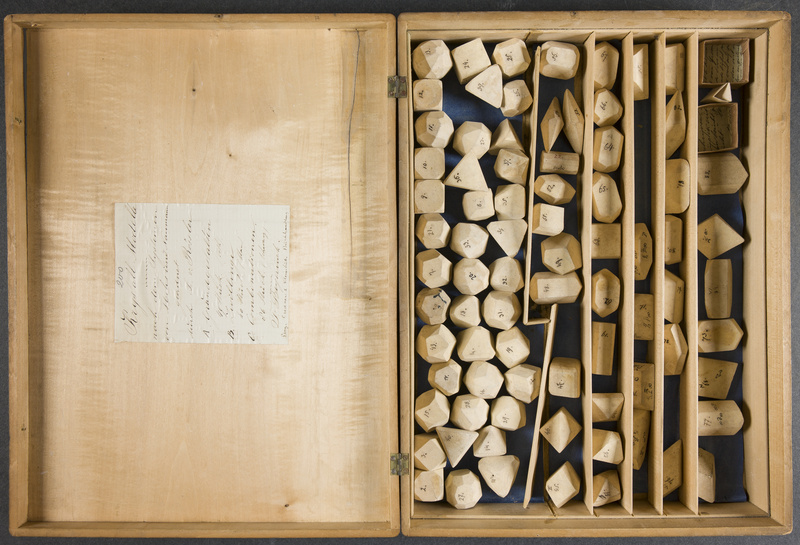 The wooden box (39 x 29 x 8 cm) contains two trays; one with models illustrating the combination of forms and one with models of twinned crystals. The models are numbered and some of their faces bear Naumann symbols. The numbers relate to a booklet describing the forms present on each model. The accompanying booklet indicates that the models were made by L. v. Rössler and refers to the crystal systems of Mohs and Naumann.